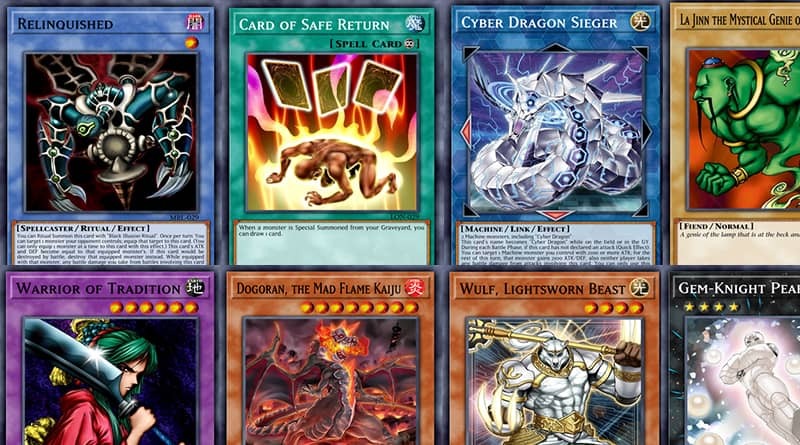 Use this page to submit a deck to YGOPRODeck. The process is automatic and the deck will immediately be avilable for download. You need to be logged into the site to submit a deck. You can view of FAQ on this uploader here. You can edit your previously uploaded decks here. Please follow the instructions below to learn how to upload a deck. 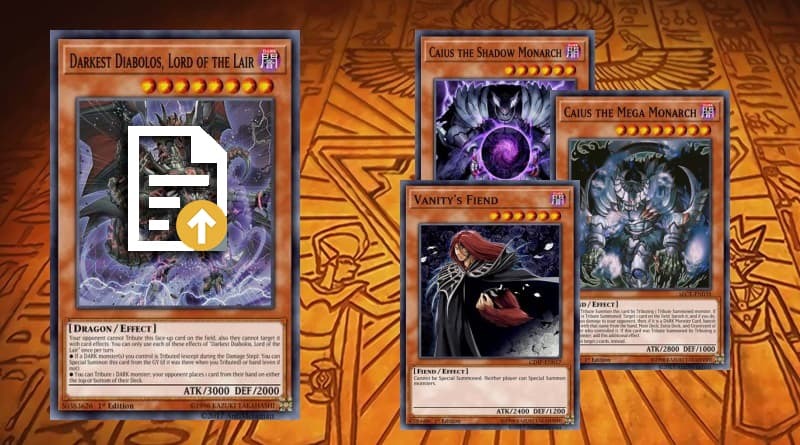 Build a deck using our Online Yu-Gi-Oh! Deck Builder. When you build a deck, it generates a .ydk file which is essentially a txt file that contains the ID of every card in the deck. If you already have a .ydk file, you are good to go! To upload a deck, all you need is a .ydk file! Our code will then go through the file and generate a deck list (image and text!) along with generating a Deck Ratio pie chart. If you don't have a .ydk file, be sure to refer to our online deck builder to generate one! Please Register or Login to upload a deck.